It’s that time of year again – when the Christmas lights go up, the decorations come out and a tinsel-covered tree becomes your home’s focal point. Electrical incidents kill or injure around 16 Aussies each week, with 13% of these situations involving children under the age of 14. More than three-quarters of childhood electrical injuries occur in the home. Children are often injured while playing with appliances or poking random objects into power points. Invest in some childproof plugs for power outlets and turn off and unplug any appliances you’re not currently using. Make sure electrical cords aren’t dangling within reach of little hands. Use power boards with inbuilt safety switches in your home. When your kids are old enough to understand, teach them the basics of electrical safety (this website can help). Make sure you clean up any spilled water around electrical appliances – water and electricity don’t mix. Be especially carefully with electrical cords around the swimming pool area. Clean your range-hood filters, stove top and oven regularly to prevent the build-up of flammable materials. Clean electrical appliances with a cloth – never spray them with household cleaners, detergents or insecticides, since this can create an electrical hazard. Clean the lint from your clothes dryer after every use and keep all your exhaust fans clear of fluff build-up. Check the dust accumulation on the power board beneath your computer table too – it’s a notorious ‘dust magnet’ spot in the home. Clean it with a dry cloth. Extension leads can get you into all sorts of trouble. If they’re not taped to the floor and placed carefully around furniture, they’re easy to trip over. If they’re placed under carpets or rugs, they can overheat. Because extension cords are often used outdoors, they’re more subject to damage and wear and tear. Never use extension cords near heaters or cookers. Don’t create one long extension cord by connecting up several shorter ones. Always use Australian approved extension cords with three pins (two-pin cords are not earthed, which makes them less safe). Having any water around electricity is extremely dangerous. Electric shocks around the pool area are particularly nasty because wet skin, minimal clothing and bare feet all reduce the body’s resistance. Avoid using portable heaters in bathrooms where splashing can occur, and never leave appliances where they can fall into a basin or bathtub. Switch off shavers, hair dryers and other electrical appliances immediately after use. This applies to old and new decorations. Check for damaged sockets, loose connections and bare wires – anything that looks dubious. 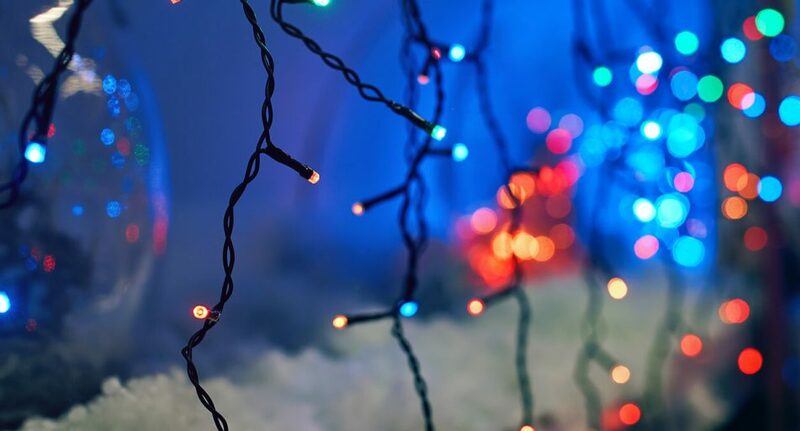 If you’re replacing bulbs in an existing set of Christmas lights, ensure your replacements are the correct wattage. Keep decorations at least a metre away from any heat sources. Make sure you can get hold of a licensed electrician when you need one. If someone is looking after your home while you’re away on holidays, they should have that number. Get your electrician to install a safety switch in your home if it doesn’t already have one. Beware of buying Christmas lights and other electrical decorations at flea markets and garage sales – you often don’t know what you’re getting. Some pretty dodgy products can make their way into Australia, so be alert for them. Look for an Australian product approval number or the regulatory compliance mark on any lights you buy. When in use, extension cords should be unwound completely to prevent them from overheating. Don’t leave them coiled while electricity is running through them.